Finlandia Foundation is the largest private source of support for Finnish culture in the United States. 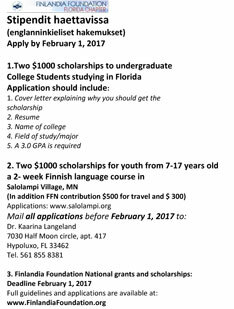 Finlandia Foundation, Florida Chapter, Inc. is an independent organization associated with Finlandia Foundation National. from an active social club to becoming an IRC 501(c) 3 (2011) modern, independent public charity organization. 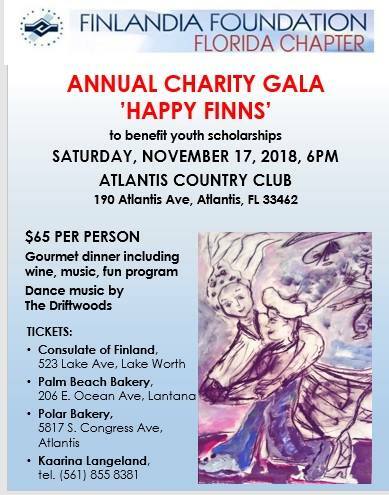 It’s mission Is to sustain Finnish culture and Finnish language among Finnish-Americans in Florida, to maintain ancestral ties with present-day Finland, and raise funds for educating young Finnish-Americans in Florida. The annual charity gala is the main source of income for the chapter activities. Since 2011 an important goal has been to promote the present-day Finland as a globally competitive country. After paying the war reparation following the Second World War Finland has distinguished itself in many areas, such as high technology, health care, environment sustainability, not to talk about the Finnish education which is according to recent studies world’s best. In the European Union Finland has been one of the few countries supporting the Union. In this year 2018 Finns are the happiest people in the world. Understandably, it has been easy for the FFFC board to choose every year a new theme to be carried out in the newsletter Finlandia Foundation Florida Chapter News (founded 2011) as well as arranging the meetings and other activities. In recent years, such themes as Go Green with Nature, Sibelius goes Global, Finland, Education, Equality for All- Finland as the Forerunner in the world, and at the Charity Gala 2018 is “Happy Finns”. CHRISTMAS PARTY IS SOON HERE! When: Thursday, December 13, 2018, at 6 pm. 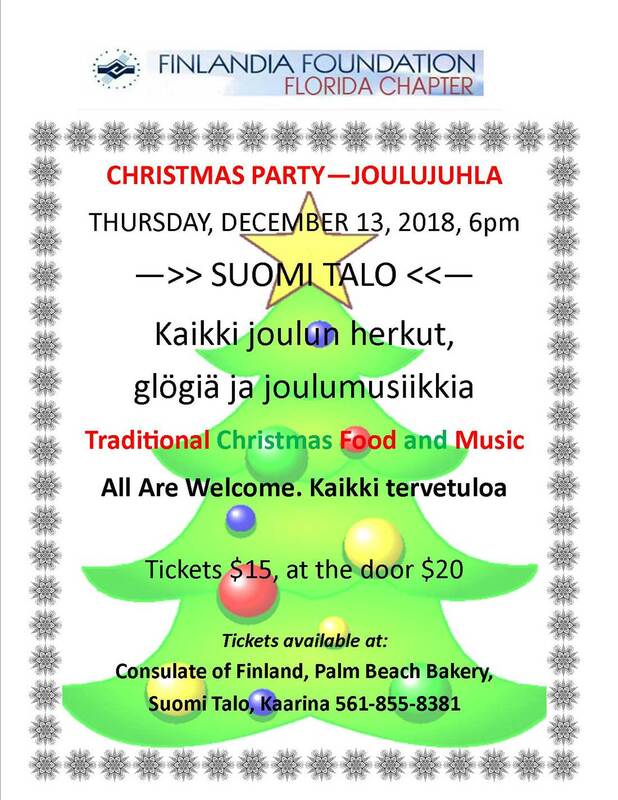 Program: Joulumusiikkia, yhteislaulua ja hyvää joulutunnelmaa! Accordion music, Sing-a-long and Full Xmas Swing! SYDÄMELLISESTI TERVETULOA! OTTAKAA YSTÄVÄNNEKIN MUKAAN! WELCOME! BRING YOUR FRIENDS ALONG TO SUOMI TALO! We warmly welcome Professor Dr. Johanna Lasonen from University of South Florida,Tampa, as our guest speaker. Refreshments will be served. All welcome! For details: phone 626-795-2081 or email: office@finlandiafoundation.org. Let’s all head for California in March! Friday, November 30, 2013, from 6-11.30 P.M. The Annual Charity Gala to benefit educational activities and programs was held on Novembert 30th, 2012 the second time at the Airport Hilton Hotel, West Palm Beach. 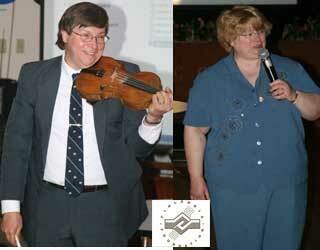 Almost two hundred guests enjoyed an evening of wonderful music, guest speakers, and fine food. The evening began with a cocktail hour with delicious hors d’oeuvre by Hilton. Mikko Manninen, the FFFC candidate for the FFN Performer of the Year, delighted the audience with American and Finnish tunes. After the National Anthems the Honorary Guests, Her Excellency Ambassador Ritva Koukku-Ronde from Washington D.C, The FFN President Anita Smiley and the Patron of the Gala, Consul Peter Makila were introduced. The Celebration of Finland’s 95th Independence Anniversary was a good time to remember how the Finns fought courageously against immense odds and successfully retained the independence. Today, Finland has a globally competitive economy with strong social safety net. The Finnish-Americans have an important role as ambassadors for Finland and Finnish culture thus supporting Finlandia Foundations efforts to preserve Finnish Language and Culture in the United States. The lecture on Sibelius and the Finnish Awakening by Dr.Glenda Dawn Goss , the FFN Lecturer of the Year was a highlighted performance. Floridan Laulumiehet Trio sang serenades to the ladies and Joe Spitale provided good dance music. It was a very successful Charity Gala. Wednesday, October 24, 2012 from 6-8 P.M.
2012 FFFC jakoi ensimmäistä kertaa 1000 Dollarin stipendin yliopisto-opiskelua varten. Sen sai lahjakas Teo Kyotikki, joka opiskelee kauppatieteita Floridan yliopistossa Gainesvillessa . Tämänvuotiset Salolampi stipendiaatit ovat Justin Weir ja Kim Mustonen, jotka menevat kahden viikon kielikylpykurssille Concordia Language Villageen Minnesotaan. The Finlandia Foundation Florida Chapter collection including Finnish and English books (over 1000 volumes) has been donated to the Suomi Talo. The PBSC could not store the books any longer since nobody read them. Now they are located at the Suomi Talo library for the easier community use. Maila Smith is the Volunteer of the Year 2012 for his contributions to Finlandia Foundation. The Finlandia Foundation Performer of the Year Maria Kizirian's concert in March was a highlight of the spring program. In February we organized the Finnish-American Authors' Forum. At this event, author Dr. Steve Lehto discussed his book Shortcut, which is about Michigan Copper Country's mining history. In the lively panel discussion that followed, five other authors--Frank Antilla, Liisa Pasila, Mauno Laurila and John Johnson--presented their memoir books of life in America. ROOTS IN FINLAND. 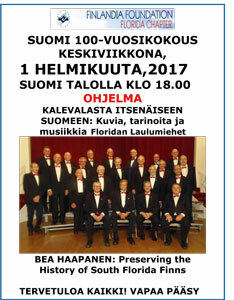 Thursday, January 19, 2012 at 6PM at Suomi Talo, Lantana, FL. At that meeting. Mr. Matti Korpinen from Finland will teach us how to conduct the genealogical research of our own to find our roots in Finland. Our first program of the 2011-1012 season will be an illustrated talk by the president of : the Finlandia Foundation National, Anita Smiley. Anita’s life has truly been an endless journey through Finland and Finnish America. Endless because for decades (at least) what she has seen and done and learned will be remembered and appreciated by many, many people. We are looking forward to Anita's illustrated talk, My Vision of Finland, at Finland House, (Suomi Talo) in Lantana from 6 to 8 P.M. on Wednesday October 12. It is free and open to the public, so please plan to attend and bring others with you, also non-Finns. Coffee and pulla will be served. 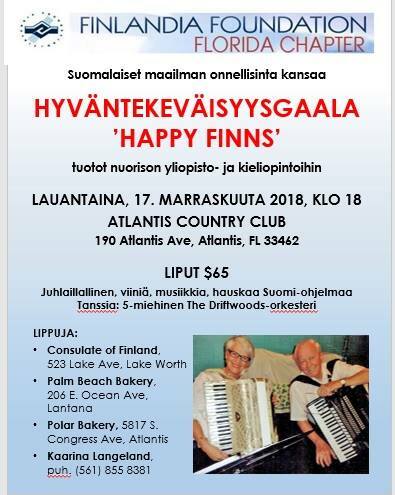 THE FINLANDIA FOUNDATION FLORIDA CHAPTER HONORED TIMO VAINIONPAA AS THE 2011 VOLUNTEER OF THE YEAR IN RECOGNITION OF HIS OUTSTANDING SERVICE PROMOTING AND PRESERVING FINNISH CULTURE. TIMO WAS THE SECRETARY OF THE ASSOCIATION 2007-08-09 AND HAS WORKED WITH OUR WEB SITE AND PUBLICITY SINCE THAT. Steven Lehto has recently moved to this area from Michigan and we were pleased that we could include him in our program this year. Steve is a lawyer, professor and historian who has done important research on the Italian Hall tragedy of 1913 and the truth behind it. He will discuss his research as well as his book on the subject. 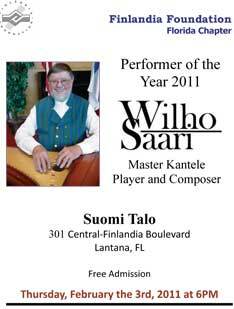 2011, FEBRUARY 3: Wilho Saari, Finlandia Foundation National Performer of the Year and a noted kantele virtuoso, performed at Suomi Talo at 6:00 p.m. Wilho Saari has written more than 2,400 songs for the kantele and has recorded two CDs. He is the fifth-generation of kantele players in his family. 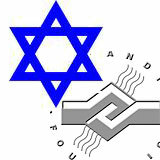 2011 JANUARY 27: Lee Alperin repeated his presentation entitled The Jews of Finland, which focuses on the treatment of Jews in Finland during the Second World War. 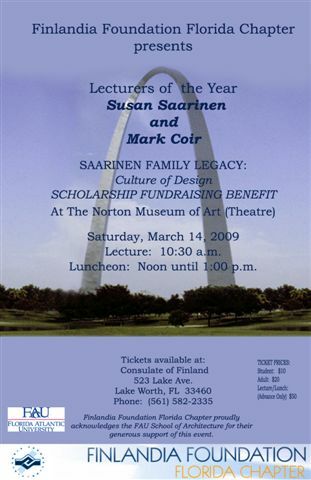 His talk will be delivered at the Jewish Community Center in Boynton Beach, 8500 Jog Road, Boynton Beach, FL 33472, at 2:00 p.m.
2011 JANUARY 7: To begin with, Finlandia Foundation National Lecturer of the year 2011, Dr. Carl Rahkonen, an ethnomusicologist on the faculty of Indiana University of Pennsylvania, presented a lecture at Suomi Talo at 6:00 p.m. on Finnish-American Music, sharing his expertise in folk music traditions. 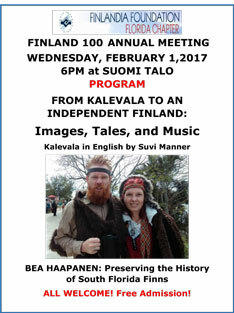 JANUARY 8: Dr. Sharon Franklin-Rahkonen, a historian, also on the faculty of Indiana University of Pennsylvania, spoke at Kerhotalo on the Finnish Civil War at 5:00 p.m.. THE FINLANDIA FOUNDATION FLORIDA CHAPTER NAMED PETER MAKILA THE 2010 VOLUNTEER OF THE YEAR IN RECOGNITION OF HIS OUTSTANDING SERVICE PROMOTING AND PRESERVING THE FINNISH CULTURE. Seppo Palokas is the Volunteer of the Year 2009 for his contributions to Finlandia Foundation during the years. What makes the Finns so successful in educating kids? outperform all other OECD countries. The Finnish Collection, located on the Lake Worth Campus of Palm Beach Community College, is a special collection of materials that include books, music and artifacts available for community use. The Harold C. Manor Library is open Monday through Friday from 7:30 a.m. to 9:30 p.m. and Saturday from 10 a.m. until 3 p.m. Visitor parking is available on the South side in front of the Administration building. Visit the website below for more information about the library and community resources. FFFC was the cultural Organization that helped Lake Worth Middle School to present Finland. The students build the miniature replica of Helsinki Railway Station and learnt Finnish language, habits, songs and dances. Pictures again available by clicking the picture on the left. Click here to see the photos from the events. Click the picture to see Photos. 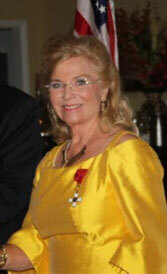 Alice Osman is the Volunteer of the Year 2007 for her contributions to Kaleidoscope. P.O Box 210, Lake Worth, FL 33460, U.S.A.